The worlds first decentralized digital currency is currently trading at $19,544.52 per coin, up 1600% in 2017. I'll also accept LITECOIN, currently trading at $325.60 per coin, up 5600% this year. The scary part is that the price will continue to rise. Its like thrifting, except for rolexes. Like a fine wine, this watch only gets better with age. This time piece will be sure to attract the attention of a dime piece. See what I did there? New album on the way. Tom ford farts luxury. I want it just for the name alone. Maybe it also comes with a pair of brass balls and bravado. Does the phrase 'too cool for school' ring a bell? I love everything about this jacket and the fact that its classy and versatile to stay apart of your wardrobe for many years to come. Kanye invented christmas right? I mean seriously, YEEZUS knows if you're not fattening his pockets this year. This simple design is a detour from the Yeezy boost craze still sweeping the nation. Some argue its a knockoff of the reebok classic, nevertheless these are scientifically proven to make your feet happy. Take it back to the old school. This bad boy plays 33's and 45's. You will be the #1 playa from the himilayas. And then you can have a contest with your friends about who can produce the coolest album cover photoshoot. 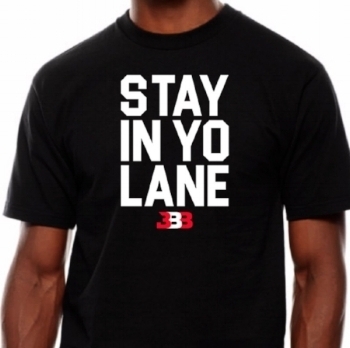 Whatever BIG BALLER BRAND is selling this year I'm buying. Love it or hate it LaVar Ball has a vision for his family's legacy by turning down major endorsement deals from Nike and Adidas to start his own shoe company and clothing line. He is the epitome of speaking it into existence. I support the courage to break the mold and challenge the status quo.